The faculty of Financial and Administrative Sciences hosted a seminar entitled “Want to Be Freelancer?” on Tuesday, October 23 at the Humanities Building. 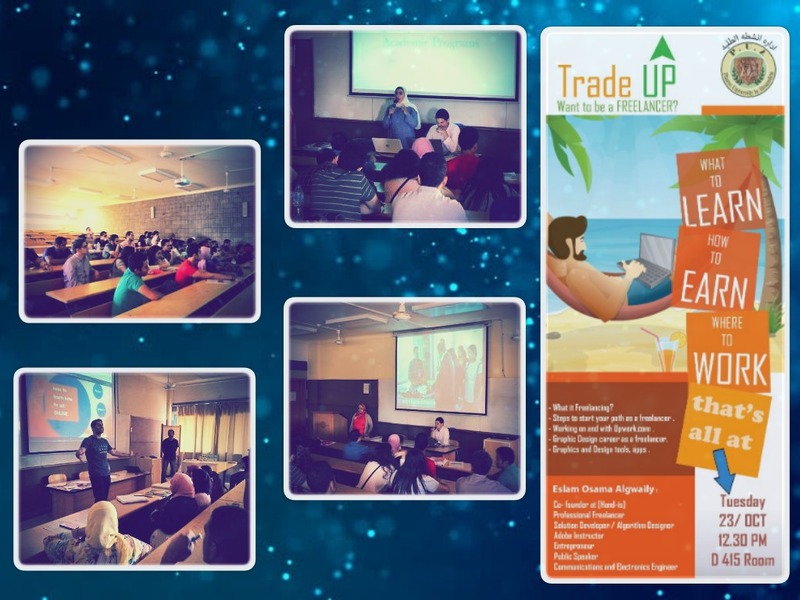 The seminar was given by Mr. Islam El Gweily, the founder of “Hand-Is” Company who spoke about freelancing, its advantages and freelancing websites. The seminar was held in the presence of a large number of the faculty students, faculty members and teaching assistants. The seminar was held under the auspices of the Student Activities Administration. 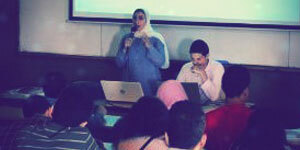 The coordination of the seminar was managed by Dr. Nagwa Mohamed, the student activities leader.